His personality matched his movie. 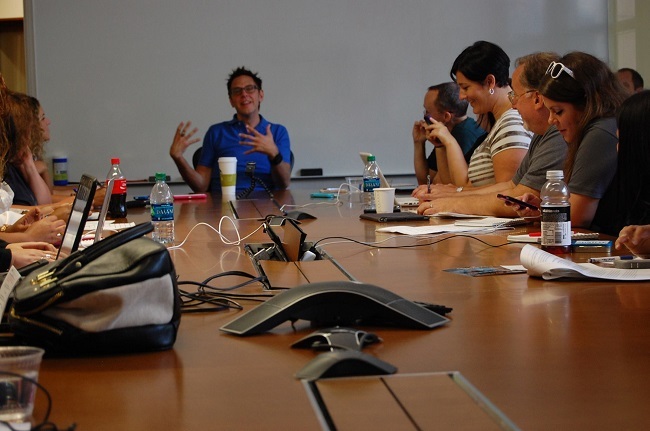 Bright, bubbly, and expressive, Director James Gunn sat down and dished with us about everything Guardians of the Galaxy. Don’t let this young face fool you. James’ sharp eye and out-of-the-box thinking lead him to direct one of the most popular Marvel movies to date. And seriously? He made this interview so relaxed and full of laughter. I’m still smiling! What I loved about this interview is that you could tell how much James’ energy was expressed on-screen. He’s young, ambitious, creative and a risk taker. Taking on a whole new Marvel world and presenting it in such a clever way…well, he’s an artist. But there’s not t say he doesn’t have his moments of fun. Dance-Off anyone? What drew you to GUARDIANS? I think the main thing that drew me to GUARDIANS was the ability to create a whole new wing of the Marvel universe. I would [be] a very difficult time [to] make a sequel to another Marvel movie. Or even making another earthbound Marvel movie that’s leading directly into The Avengers, because you’re working so much within the world that’s already been created. And with GUARDIANS, I was able to create, not just a new world, but new worlds. New characters, new species. And I found that to be just the most freeing thing ever. When I was a little boy, I had a box. And this box, I was sort of obsessed with. And within it, I was obsessed with the solar system and all the different planets. And I would make drawings for each one of the different planets, of the species that lived on that planet. What their pets were. And what their houses looked like, what their water systems were like. And this box became filled over time with this sort of universe inside of it, that I created. And that is, that’s where my heart was. And that’s still where my heart is. Because that’s what this movie is. (Insert my question!) How did it feel doing a PG-13 movie, knowing that it was to be geared more towards a younger audience? I loved it. When I set out to make this movie, I didn’t set out to make a movie that was like the movies I loved as a kid. RAIDERS OF THE LOST ARK, and STAR WARS, and these films. But I wanted to make a movie that would make kids and adults feel like I felt when I saw this movie. You know, something that would actively inspire imagination. Something that could touch me both — and I found it in the great opportunity to make a movie that was about family, about friendship. I think in the world, it’s so important to be cool and so important to be hip and show how you don’t care. And this movie is the exact opposite. It’s a movie about caring. It’s a movie that allows emotions into a spectacle film, which is extremely rare. Real characters with flaws. Who’s your favorite Guardian and why? The one I feel the most connected to is Rocket. Because I feel the outcast in Rocket. And although I think that Rocket is the meanest Guardian, I think he’s the most selfish Guardian. I think he’s probably the Guardian that learns the least at the end of the movie. He is the saddest. And, [LAUGHS] well, it’s very strange. Very strange I connected ’cause I started to get [LAUGHS] emotional. But I feel like he’s just this little mangled guy that is completely alone in this world. There’s nothing else like him, he’s been torn apart and put back together again. He was originally an innocent little animal. I love animals to begin with. I’ve come to love him. And I think probably also because I had the greatest time in creating Rocket over any of the other Guardians. Rocket and Groot both. Because unlike Star-Lord, Chris and I have to be on the same level. And see that we see things in the same way. I write his dialogue, he says it. I pull this stuff out of him, he adds stuff. We’re creating a character together. With Rocket, there’s a lot more people involved. It’s much more like conducting a symphony, within one character. To make somebody alive, it tends to become more of a real character to me. His passion for Rocket extended over into the next question. You could tell in his answer how much he really loves that raccoon. How was it working with Bradley Cooper doing a voice-over for Rocket? Intensely. I think Bradley had the hardest job of anyone on this movie. Because I had such a specific idea of who Rocket was. By the time we recorded him, we had already shot the whole movie. My brother played Rocket on the set. And he was an integral part of the team on set. Sean is what creates the dynamic between those five characters on set. He’s a part of that. So Bradley had a lot of either expectations, or hopes of mine that he had to fulfill. And the first time he came in, the first day he recorded, it was probably the most relieving day I’ve had on the entire film. Because I always knew the movie would work if Rocket worked. We worked very very well. And thank God, Bradley is a pretty egoless guy. Which is strange for someone who is as handsome and talented as he is. But he’s like, “Listen, if you have a line reading you want to give me, if you want me to say a line like your brother said it, just let me know.” And I didn’t always take him up on that. But occasionally I would. Bradley, did things a thousand times. And we recorded whole scenes that with his voice. We put him in the scene and I was like, “I think we gotta go do it again.” ‘Cause Bradley sounds like a little bit different than he did on the other day. Or, Bradley is a little too angry. He’s not angry enough. And then we’d go back and rerecord it. And that’s one of the difficulties when you’re doing a voice actor, you can kind of keep doing it again and again and again and again. And I did. How long was the entire process from beginning to end? I wouldn’t be surprised if it was exactly two years from today, when it started. 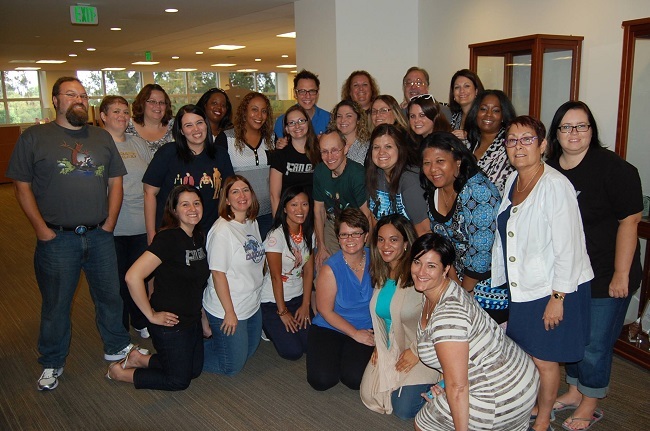 So I came in July of 2012, to meet with those guys. I was pretty much started working on it right after that. In terms of storyboarding and writing the screenplay. I went to Singapore a week ago Monday. And I finished the movie, the visual effects, right before I got on a plane. I went from Disney to the airport. And then I came back here and I finished the 3D just a few days ago. What was the most complicated process in making the film? Letting go has not been the easiest part of it. Because your brain gets used to doing one thing for two years. And this has been my life. And I was talking about Rocket earlier. And like the weirdest things started happening over the first few days before I had to leave for Singapore. I didn’t want to leave those characters behind. I’m going to miss that. It makes me especially a lonely person. But those characters have become my friends over the past two years. I don’t think it was the most difficult. But that’s been very difficult. I think the most difficult part is simply the length of time, the fact that it’s a marathon. And the lack of sleep that has occurred during, you know, the off and on during those two years. What was the most difficult thing to bring to the big screen? Definitely the most difficult were the CGI characters, ’cause we had to make them as real and believable and as loveable as the rest of the characters in the movie. And I am beyond a perfectionist when it comes to visual effects. I’m very very hard on visual effects people, to try to get the most out of them. And my eyes are really difficult and harsh on that stuff. So that was the long road. Were there hilarious antics that took place while filming? [LAUGHS VERY LOUDLY] Any hilarious antics…Well, one of our great moments was in the dance-off. We didn’t tell Dave Bautista. I went up to Chris and Zoe, and I said — no, to Lee Pace, and Chris and Zoe. Lee Pace who plays Ronan. And I said, “When Chris challenges you to a dance-off, you know, take him up on it.” [LAUGHS] And so Chris started dancing. And then Ronan goes, “You got it, pal, you’re on!” And he throws down his hammer and he’s doing this ridiculous dance that his six foot five frame in this gigantic metal object could do. And he’s dancing, and then Gamora starts dancing. And then they turn it over to Dave and Dave is like, “Oh, no.” And he did it, he did, he just started dancing and then, we had about 200 extras on set or something. And all of them started dancing, my brother who plays Rocket on set, started dancing. And I have it all on film, it’s one of my favorite things. Yeah, yeah, yeah. It’ll be on the DVD, for sure. You’re a director, producer, and you’re an actor. Is there anything that you don’t do? Well, filmmaking wise, I could never be a DP [He means Director of Photography]. I mean, I’m just not able to do it. Yeah, there’s a lot of things I could never do. You know. I think really what I do best is picking other people. And finding what other people are good at, and sort of arranging those in a way that makes a good movie. And I think that’s really what a good director is able to do. And then I have a basic knowledge of every, you know, most parts of filmmaking. So that I can have a conversation with those people, just sort of bring a film to the desired place. With the Marvel cinematic universe expanding exponentially, are there any couple characters you’d like to see together in a story? Or in a movie? I would love to tell the Rocket and Groot story for sure. Yeah, I love them. But you know, at the same time, I’d love to tell to do the Drax movie. I’d love to do the Gamora film. I think they’re all interesting enough to me. I want to do the Nebula film. It’s something I actually think about a lot. So I think that all those characters I have a deep enough connection that they could go off on their own direction. 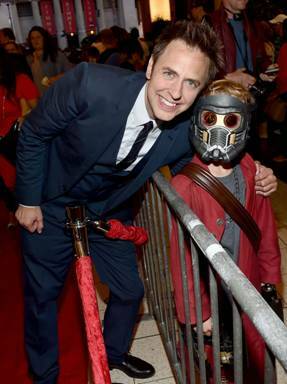 James Gunn had an infectious smile and a bursting personality that was right for Guardians of the Galaxy. I certainly learned a thing or two about the difficulties of directing, especially on a huge scale like this. But mostly I have a new founded respect and appreciation for the hard work that goes into these movies, and not for just the folks on camera. James Gunn is a genius. Bringing the Guardians of the Galaxy to life on screen is no easy task, and the results were a blend of hilarious moments, an amazing soundtrack and an epic Marvel movie. And hey, he must have done something right. They’re already saying 2017 for Guardians 2. Guardians of the Galaxy is in theaters everywhere right now! Be sure to check out the Marvel film of the year this summer! Missed my epic Guardians of the Galaxy Interviews? Now is the time to catch up! That looks like it is going to be a great movie. I love the special effects on this one. I’ve heard a ton of good things about the movie. Thanks so much for the interview! 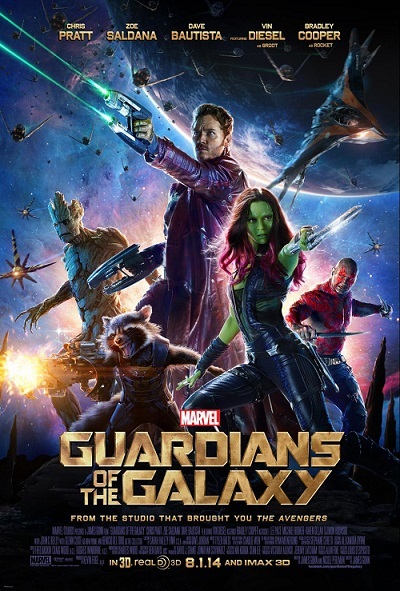 This movie was amazing, I’m not surprised because of how much passions James Gunn had for it. I haven’t seen this yet but my boyfriend wants to go so I will probably be seeing it soon. It looks pretty good! Great interview. I love reading ore about Rocket. I have been really interested in the talking raccoon aspect of this movie. What an excellent interview, thanks for sharing. I love the raccoon part! Awesome interview. Sounds like so much fun. What a great experience! I can’t wait to see this movie, especially with all of the hype around it! What a fun trip and great opportunity to meet some great actors and directors. What an amazing job he has! I cannot wait to see Guardians! I hope to go next weekend! I hear great things about this movie and Rocket Raccoon seems to be a favorite! Someone was just telling me about how fabulous his character was. I hope to see the movie this weekend! His personality really shines through in the movie. How neat! You got to meet and interview the director. I wish to see the movie – he seem great! I am not a movie buff but sounds interesting. I love raccoons. Thanks for sharing insights from the mind behind the movie, yet another reason to go see it. Such a cool event. I loved reading your interview with the director, actor, etc. he sure does a lot. I can’t wait to go see this movie. 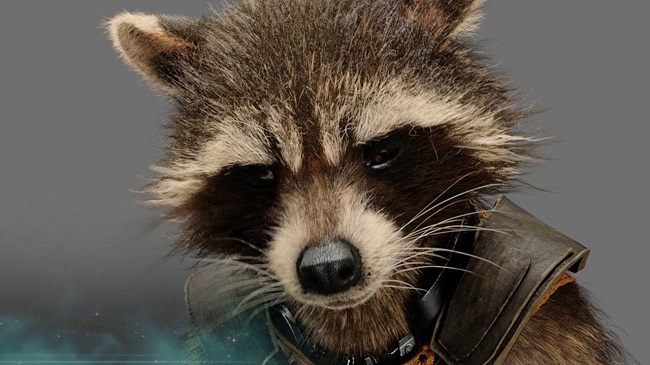 Aww, I wanted to give Rocket a hug after reading your write-up. We’re highly likely to be going to see this movie. He sounds like a really down to earth and fun guy. This movie is getting so much buzz and I look forward to seeing it soon. Must have been cool to do this interview. I can’t wait to see the movie! I haven’t seen the movie yet because we went out of town the day it was opening. I can’t wait, it looks so awesome! I have to say, that is an excellent interview. I didn’t know much about the movie or the characters but I do now. I love how he goes into the good, the bad and the ugly of the film. Thanks again for such a great interview. I haven’t watched the film yet. This is still showing here in our country. Great interview. what an awesome opportunity! and great interviews 🙂 I love interviewing and I have to admit to being just a little bit jealous 🙂 Great job! These are not my type of movies. But all my friends seem to like them. So cool to get the inside story from the ones working on the projects. Wonderful interview. As I write this, my kids are at a local movie theater enjoying this movie. I have to say the raccoon calls me too. Haha!